Happiness and comfort can be well defined by architecture. Maximising the feeling of space and ease of living is fundamental to good apartment design. A 3 BHK apartment that too in a city like Bangalore is all about the same. A 3 BHK apartment consist of three bedrooms, with a hall and a kitchen accompanied with one or two bathrooms. They receive enough light and ventilation to make you feel elevated and fresh all through the day. Attached balcony to such apartments beautifies them even more and gives you a perfect morning and evening glance of nature right from the lap of your splendid apartment. Most of the 3 BHK apartments have open terrace garden to give you a lush greenery all around and to give about an abundance of reviving feel. Acoustic treatment is essential to a functional design. An abode is ideal when it feels calm and relaxing and it’s protected from unwanted noise from the street and neighbours. So if your plan is to own a house to make it a home in Bangalore then you are surely going to realise the value of your investment in the decades to come. 3 BHK Apartments In East Bangalore. Prestige Sunnyside is a new Under construction residential project developed by a well-known builder, Prestige Group. It is located Off Sarjapur-Marathahalli Outer Ring Road, East Bangalore. Spread over 3.8 acres of land area.Prestige Sunnyside comprises of 395 Apartments in 5 Residential Towers in Two Wings – Oak & Elm with 2, 3 & 4 BHK configurations. SBA ranges from 1311 – 2439 St. Budget starts with affordable prices. 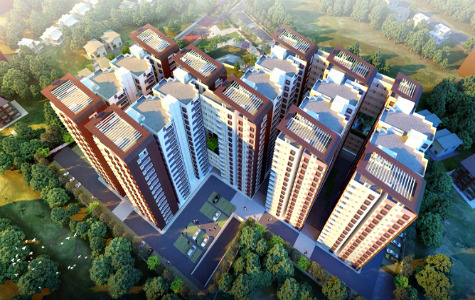 3 BHK units of Prestige Sunnyside consists of 3 Bedrooms each of them added with attached Bathroom. Master Bedroom opens to the Balcony, which also have the utility partition called Dress within it.Living Hall and Dining Hall is available right in the front of foyer which also have the provision of extra balcony space right next to Living Hall.Kitchen has an extra utility area. 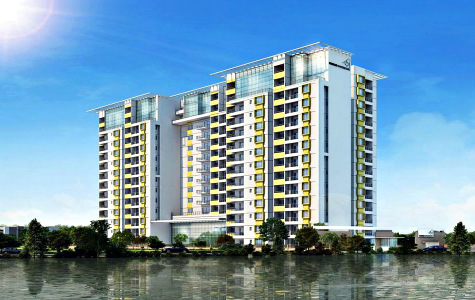 Salarpuria Senorita is a current ready to move-in Premium residential project from Salarpuria Sattva Group. Spread over 4 acres of land. It is located at Sarjapur Main Road, East Bangalore. 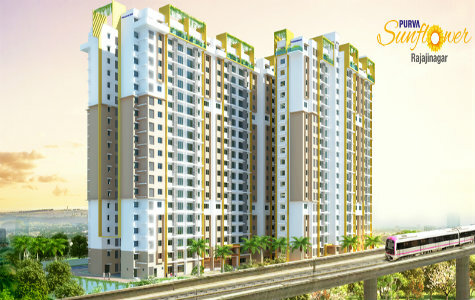 Salarpuria Senorita includes of 349 apartment of 2 & 3 BHK and 4 BHK Penthouses Units. Super built up area ranges from 1540-1922 Sq ft for 3 BHK Units.It includes with 5 towers & each tower consists of G+19 floors. 3 BHK units of Salarpuria Senorita consists of 3 various Bedrooms each of them added with attached Bathroom. Master Bedroom, which also have the utility partition called Dress within it, Guest Bedroom opens to the Balcony, Living Hall and Dining Hall is available right in the front of foyer which also have the provision of extra balcony space right next to Living Hall.Kitchen has an extra utility area, Children Bedroom is also included on it. Spread over 11 acres of land area. 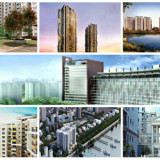 Fortius WaterScape is a novel Ongoing apartment project by a well known Builder, Fortius Infra. It is situated at Old Madras Road, East Bangalore. This Project includes with an 80% open space, 156 Apartment units of 2 and 3 BHK Configurations.Super built-up area ranges from 1332 sqft-1764 sqft. it includes with 3 towers.and rate per square feet is Rs 4775/-. Price starts from Rs. 69 Lakhs onwards. 3 BHK configurations of Fortius WaterScape consists of 3 Bedrooms each of them added with attached Bathroom.Living Hall and Dining Hall is available right in the front of Master Bedroom which also have the provision of extra balcony space right next to Living Hall.Kitchen has an extra utility area. 3 BHK Apartments In West Bangalore. 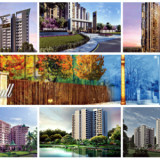 Sobha Indraprastha is a new under construction Super Luxury apartment venture by a reputed real estate builder, Sobha Limited. This Residential venture is located at Minerva Mill, Rajaji Nagar, West Bangalore.Sprawl across an area of 9.36 acres of land.Sobha Indraprastha consists of 356 Apartments with an 3 & 4 BHK Units. SBA ranges from 1950-3995 St.Each tower comprises of G+37 floors. Rate per Sq ft is Rs.11295/-. 3 BHK configurations provide with a Luxury 3 Bedrooms with an attached Bathroom.with a Balcony, Living/Dining, Utility/ Kitchen, Dress Room which Incorporated within it. Purva Sunflower is a latest Ongoing residential project which was developed by a tremendous builder, Purvankara Group. It is located at Magadi Road, West Bangalore. Spread over 2.3 acres of land area. This residential Venture includes of 326 Apartment type with 2 & 3 BHK configurations. super built up area ranges between 1216 – 1795 St.Rate per Sq ft is Rs. 7990/-. 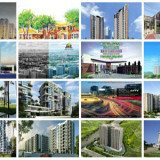 It has 4 towers each tower comprises of G+19 floors.budget starts from Rs. 97.15 lakhs onwards. 3 BHK units of Purva Sunflower comprises of 3 Bedrooms each of them added with attached Bathroom.Living Hall and Dining Hall is available right in the front of the foyer to Living Hall.Kitchen has an extra utility area. 3 BHK Apartments In North Bangalore. Prestige Woodland Park is a newly under construction residential venture From Prestige Constructions. This residential project is located at Cooke Town, Banaswadi Road, North Bangalore.Stretch over 1.5 acres of land area. It includes of 166 Apartments with a 2.5, 3 & 3.5 Bedroom Units.Super built up area ranges from 1383-2094 St.It provides of 2 towers & Each tower comprises of 2B+G+17 floors.and rate per square feet is Rs. 9999 / St. Price starts from INR 1.48 Crores Onwards. 3 BHK units of Prestige Woodland Park includes of 3 Bedrooms each of them added with attached Bathroom.Living Hall and Dining Hall is available right in the front of foyer which also have the provision of extra balcony space right next to Living Hall.Kitchen has an extra utility area. Nitesh Hunter Valley is a new upcoming project from Nitesh Estates. 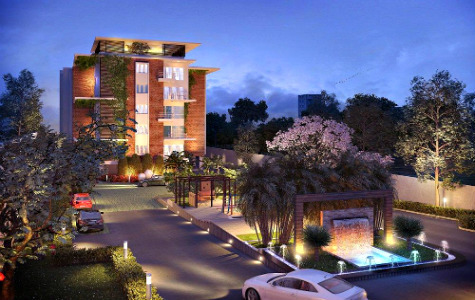 This project is located at Hennur Road, North Bangalore.Sprawl across 22 acres of land area. Nitesh Hunter Valley project consists 1090 Apartments with an 2, 3 & 4 Bedroom configurations. 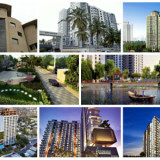 3 BHK SBA area ranges from 1695 St. Each tower comprises of B+G+19 floors.and rate per square feet is Rs. 4490 /-. 3 BHK units of Nitesh Hunter Valley consists of 3 Bedrooms Master Bedroom and Bedroom next to living hall has attached Bathroom. Master Bedroom opens to the Balcony Living Hall and Dining Hall is available right in the front of foyer which also have the provision of extra balcony space right next to Living Hall.Kitchen has an extra utility area. Mims Renaissance is a novel ongoing luxury apartment project developed by a known builder, Mims Builders Pvt Ltd. This apartment venture is located at Thanisandra Road in North Bangalore, which is rapid growing to be the hub of commercial and residential development. Spread across an area 2.5 acres of land. 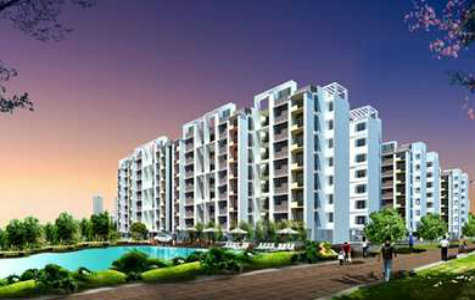 It includes of 145 apartment configurations with an 2 & 3 BHK. SBA ranges from 1215 – 1350 St. It has 5 towers and each tower consists of G+5 floors. it provides with affordable prices. 3 BHK units of Mims Renaissance consists of 3 Bedrooms Master Bedroom and Bedroom next to living hall has attached Bathroom. Living Hall and Dining Hall is available right in the front of foyer which also have the provision of extra balcony space right next to Living Hall.Kitchen has an extra utility area. 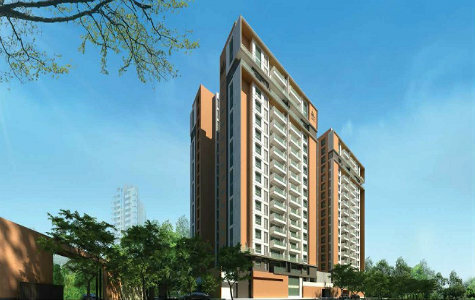 Brigade Laguna is a new Pre-launch apartment project from a reputed builder, Brigade Group.This venture is located in the top locality of Off Hebbal, as a part of North Bangalore and enjoys superior connectivity city to all points of Concern located in and around Bangalore. Brigade Laguna is located in an area which is very suitable for the IT professionals.Brigade Group Comprises of with a various type of apartments like 3 BHK units.Super built-up area ranges from 1570 – 2350 square feet. 3 BHK Apartments In South Bangalore. 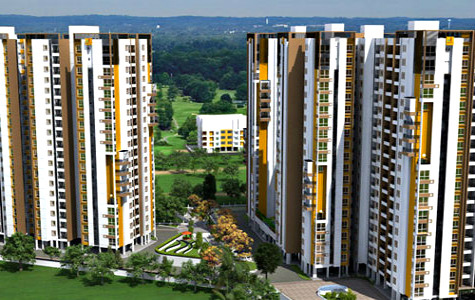 Krishna Gold Fields is a new ongoing apartment project from Krishna Enterprises Pvt Ltd. It is located at Electronic City, South Bangalore.Spread over 6.62 acres of land area, with almost 85% free spaces and beautiful landscapes. This venture comprises 585 Apartments with an 2, 3 BHK configurations.SBA area ranges from 908-1511 st.It provides of 5 towers & Each tower comprises of B+G+14 floors.and rate per square feet is Rs. 3100 /-. Price starts from Rs. 36 lakhs Onwards. 3 BHK units of Krishna Gold Fields consists of 3 Bedrooms Master Bedroom has an attached bathroom next to that we have Kitchen and Bedroom next to living hall has attached Bathroom. Master Bedroom opens to the Balcony Living Hall and Dining Hall is available right in the front of foyer which also have the provision of extra balcony space right next to Living Hall. 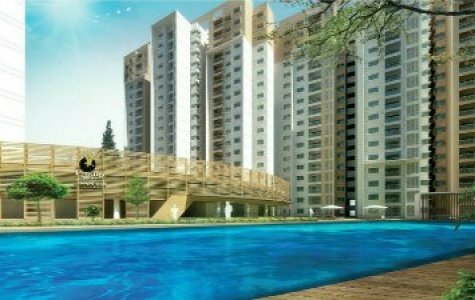 Sobha Dewflower is a novel under construction apartment venture from known builder, Sobha Group. It is located at Sarakki Road, Near Jayanagar 8th Block, South Bangalore.Sprawl across 7 acres of land area. 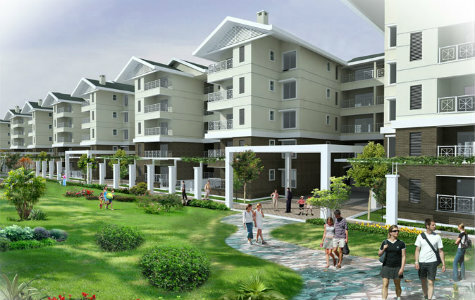 This apartment venture consists 231 Apartments with an 3 & 4 Bedroom units.Super built up area ranges from 2123 – 3467 St. 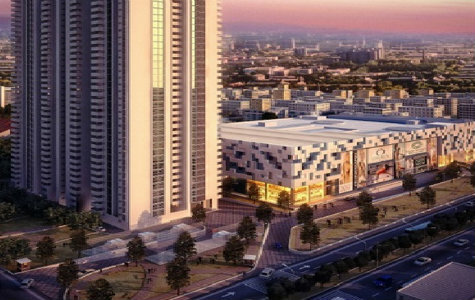 It includes with 4 towers and each tower consists of G+4 floors, with a Luxury Amenities which incorporated within it. 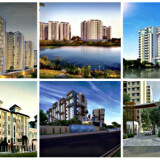 3 BHK units of Sobha Dewflower consists of 3 Bedrooms each of them added with attached Bathroom. Master Bedroom opens to the Balcony, which also have the utility partition called Dress within it.Living Hall and Dining Hall is available right in the front of foyer which also have the provision of extra balcony space right next to Living Hall.Kitchen has an extra utility area. Spread over 60 acres of land area. 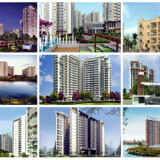 Brigade Plumeria is a new ongoing luxury apartment venture by a reputed builder, Brigade Group. It is situated at Kanakapura Road, South Bangalore. 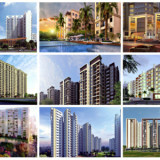 This project provides 340 Apartment type of configurations of 2 and 3 BHK.SBA area ranges from 1110 – 1630 sqft. Rate per sq ft is Rs. 3990-4090/-. Budget starts from Rs. 48 lakhs onwards. 3 BHK units of Brigade Plumeria consists of 3 Bedrooms Master Bedroom has an attached bathroom next to that we have Kitchen and Bedroom next to living hall has attached Bathroom. Living Hall and Dining Hall opens to Balcony space right next to Living Hall. Prestige Temple Bells is a new ongoing residential project developed by a well-known builder, Prestige Group. It is located at Rajarajeshwari Nagar, South Bangalore. Stretch across 13.50 acres of land area. 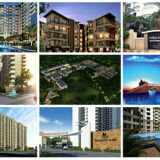 Prestige Temple Bells venture comprises of 968 Apartments of 1, 2, 2.5 & 3 Bedroom Homes. SBA area ranges from 628 – 1611 St. It includes with 9 towers and each tower consists of 1-7 towers -2B+G+19 floors & 8-9 Towers- Stilt+14 floors. 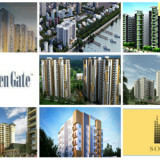 Rate per sq ft is Tower 4 @ Rs.4900/- Tower 6 @ Rs. 4650/- Tower 7 @ Rs. 4650/- Tower 8&9 @ Rs. 4500/-. Budget starts from INR 28.26 lakhs onwards. 3 BHK units of Prestige Temple Bells consists of 3 Bedrooms Master Bedroom has an attached bathroom next to that we have Kitchen and Bedroom next to living hall has attached Bathroom. Master Bedroom opens to the Balcony Living Hall and Dining Hall is available right in the front of foyer which also have the provision of extra balcony space right next to Living Hall. Spread over 17.3 acres of land area. 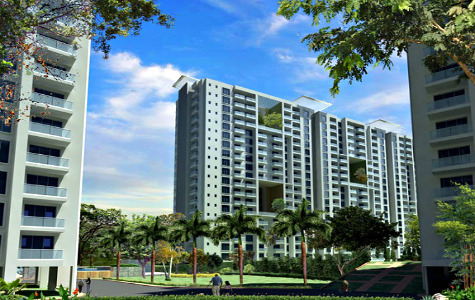 Purva Sky Condos is a new ongoing apartment venture by a reputed builder, Purvanakara Group. It is situated at Kanakapura Road, South Bangalore. 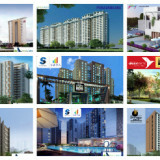 This project provides 216 Apartment type of configurations of 2 and 3 BHK.SBA area ranges from 1340 – 1843 sqft. Rate per sq ft is Rs. 4290/-. Budget starts from Rs. 57.48 lakhs onwards. 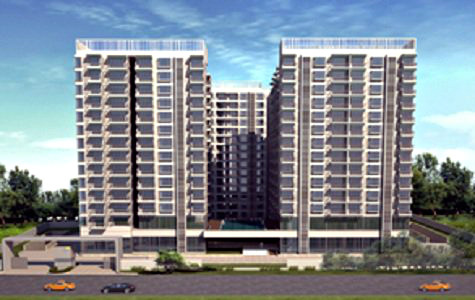 3 BHK units of Purva Sky Condos consists of 3 Bedrooms each of them added with attached Bathroom. Master Bedroom opens to the Balcony, which also have the utility partition called Dress within it.Living Hall and Dining Hall is available right in the front of foyer which also have the provision of extra balcony space right next to Living Hall.Kitchen has an extra utility area. 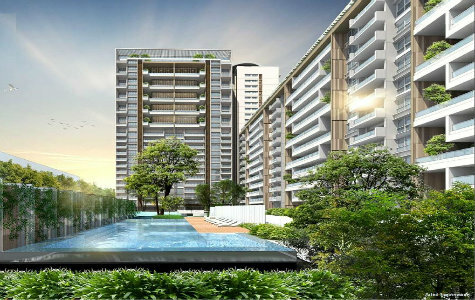 Peninsula Heights is a new premium residential venture from Peninsula Land Limited. 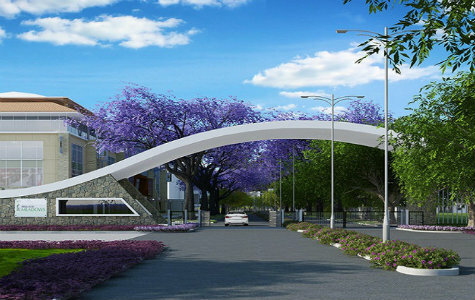 It is located at JP Nagar, South Bangalore.Spread across 3.64 acres of land area. 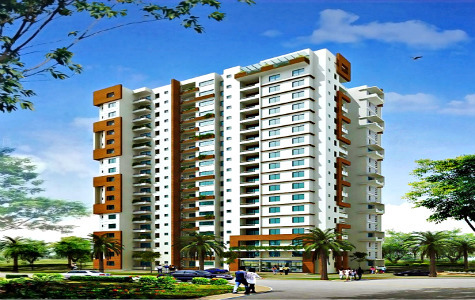 This apartment venture consists 140 Apartments with an 3, 4 & 5 BHK units.Super built up area ranges from 3240-6640 St. It includes with 2 towers and each tower consists of G+10, G+23 floors, with a Luxury Amenities which incorporated within it. Rate per sqft is Rs. 8,750-9,025 /-. Budget starts from Rs. 2.94 Crores onwards.